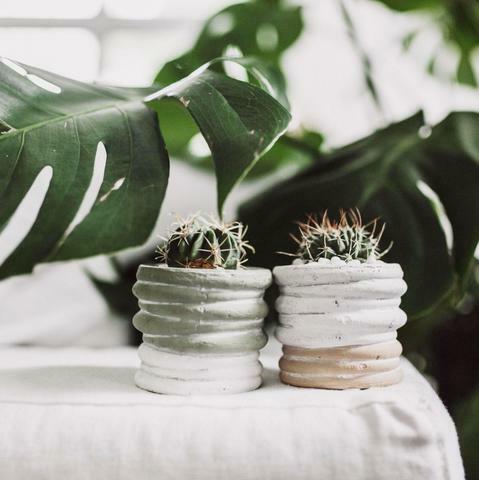 Minimalist designs have become increasingly trendy in recent years, and no plants are more minimalist in nature than succulents. As Elle Decor describes, minimalism is a return to the basics. Homes with minimalist aesthetics are free of clutter and have simple color schemes. They’re open and airy with simple black and white tones. 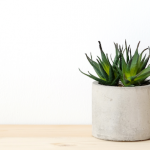 Like minimalist homes, succulents are rather minimalist plants that require little work. Many of them are small with muted tones and their looks aren’t overbearing, making them perfect accent pieces to other simple decor. 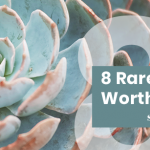 Of course, no matter what types of succulents you prefer, they need a home of their own. 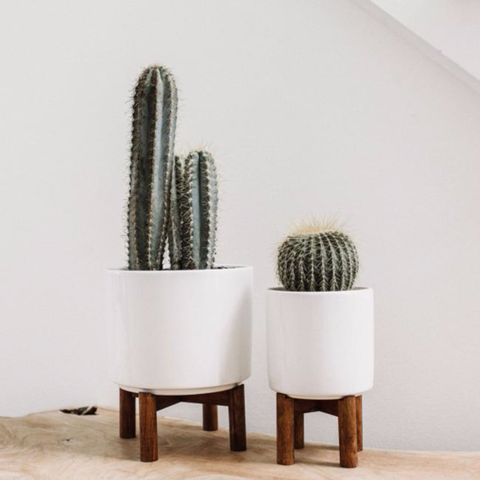 Check out these stunning minimalist succulent planters that’ll flawlessly match your aesthetic. These planters are just about as simple and clean as it gets! 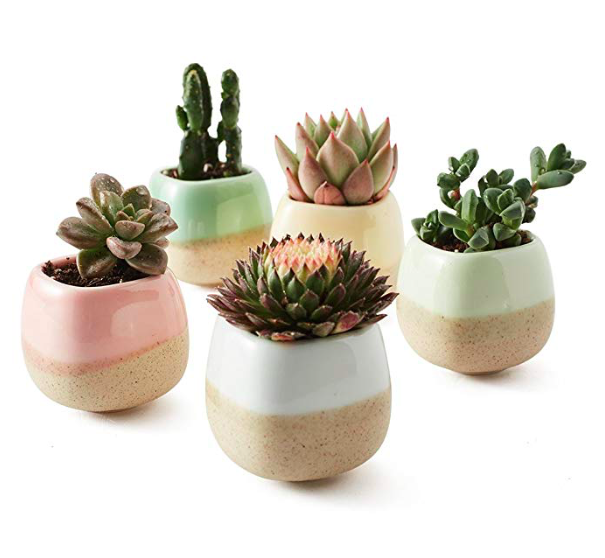 Coming in two sizes, these simple ceramic planters are the perfect addition to your home. Plus, the wooden stand adds a splash of tasteful color. 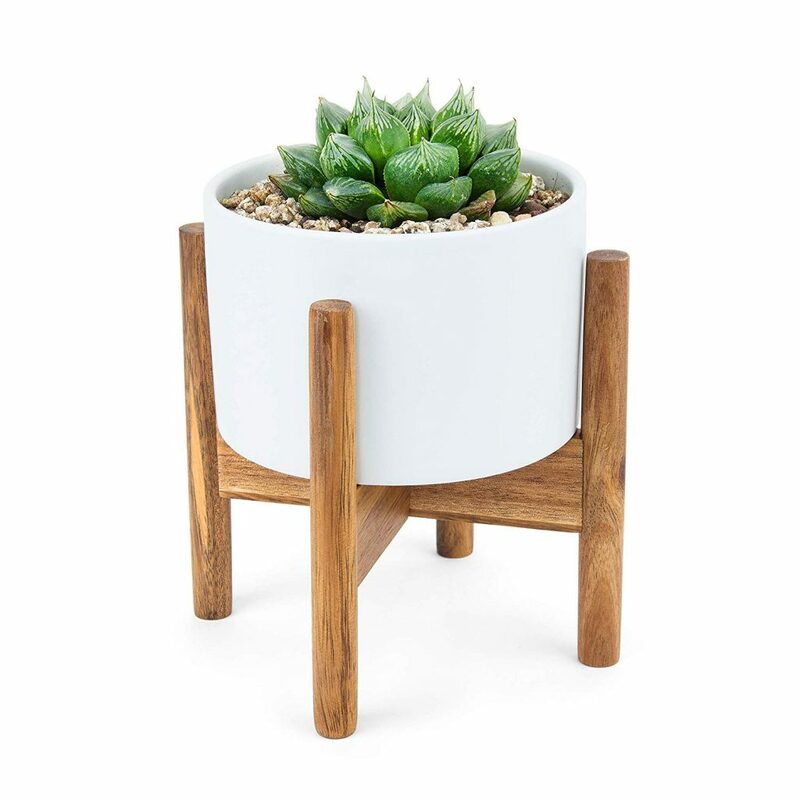 In a similar fashion, this planter bowl replicates the mid-century modern look, wooden stand and all. However, it’s ideal for those looking for more of a centerpiece than single planter. The large 10-inch wide bowl is ideal for holding many different types of succulents at once. If you’re looking for a little texture, these stone planters bring the quirk. At 3 inches deep they’re great for those small desktop succulents. And though they have some color (these planters come in green and beige), the colors are muted enough to blend in seamlessly with their simple, minimalist surroundings. Into the texture but not quite the colors? 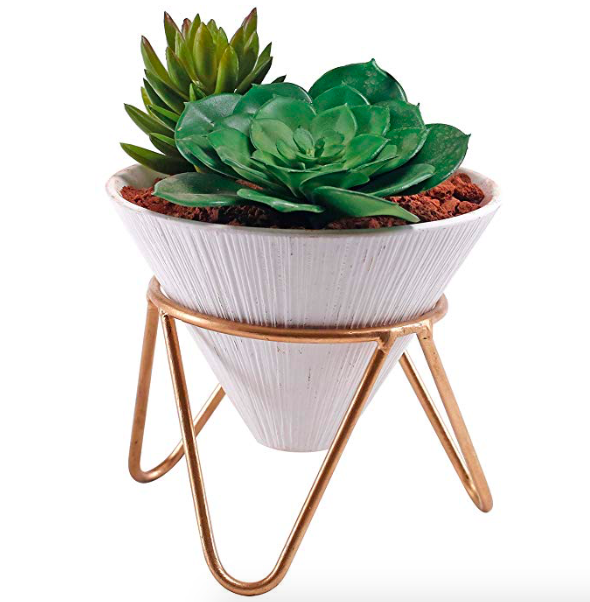 Go a bit simpler with this textured, cone-shaped planter. The small brass stand adds a modern feel to the otherwise super minimalist design. At only about 2×2 inches, these cute planters are minimalistic by nature. The ceramic planters come in five different glazes, but the colors are soft enough so that they’ll complement any room in your house instead of overtake it. If you’re trying to keep it super simple, these small ceramic planters are exactly what you’re looking for. 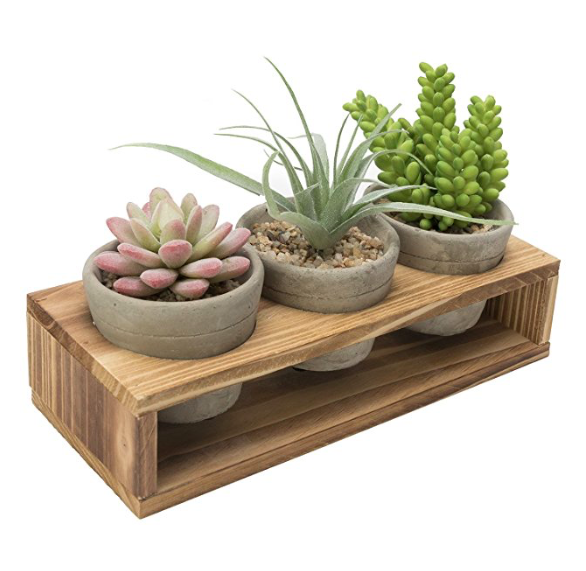 The included bamboo trays (along with your beautiful succulents, of course!) add just a tiny pop of color to the otherwise clean design. The only thing more minimalistic than all white? All glass! 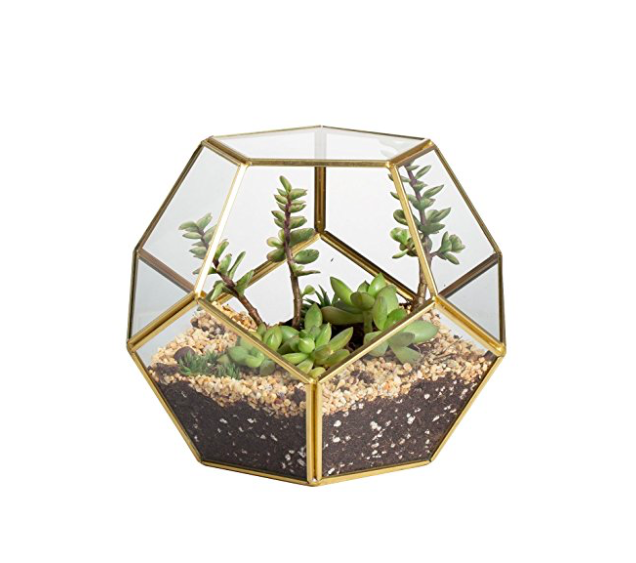 This terrarium allows you to check out your succulents from all angles. Plus, the brass edges add just the right amount of oomph. Are your walls looking a little bare? 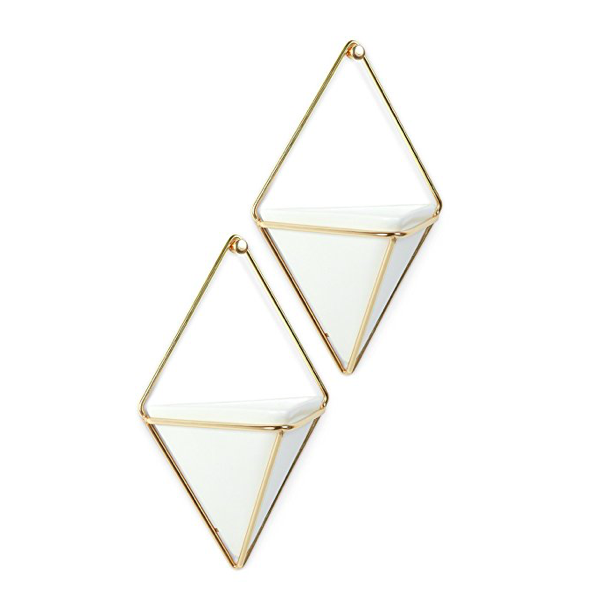 Instead of putting up another photo or painting, why not hang these geometric planters. 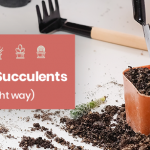 Fill them with succulents like air plants for a simple, easy-to-maintain look. Or, for a more dramatic addition, the draping burro’s tail succulent would look absolutely stunning in these wall planters. 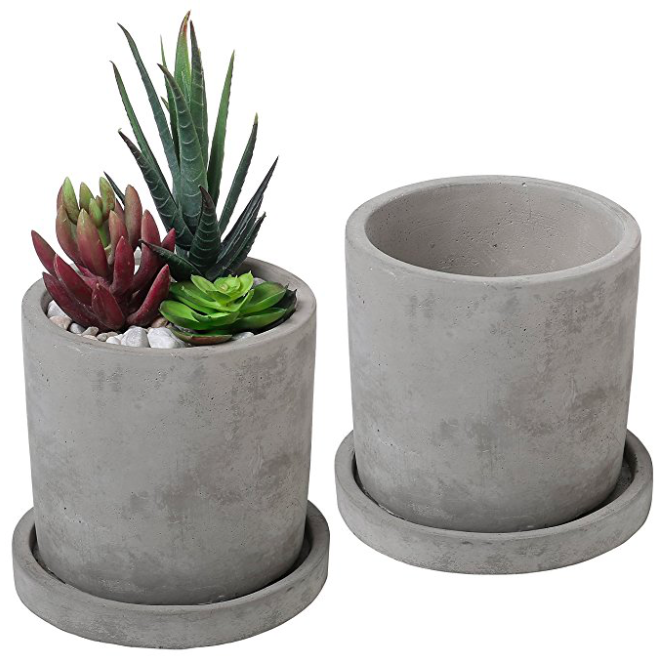 For a truly earthy look, these unglazed cement planters are the way to go. Nothing is more minimalist than pure cement. Plus, it’s really making a design comeback, so you’ll be right on trend with this decor. 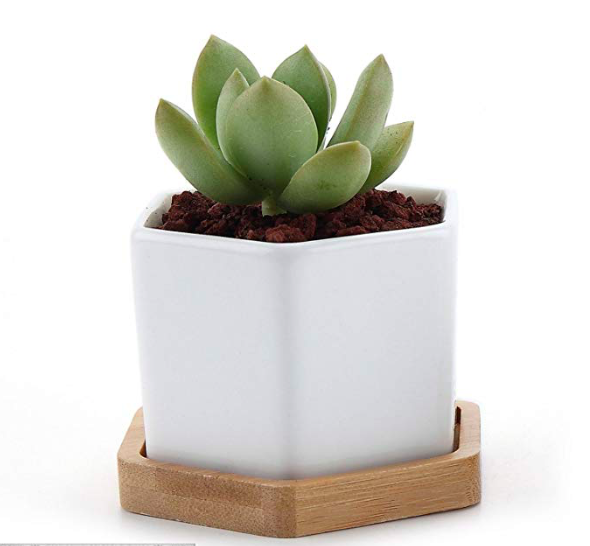 If you’re into the cement look, this set of three succulent planters complete with matching wood stand will help bring succulent plant life into your home. 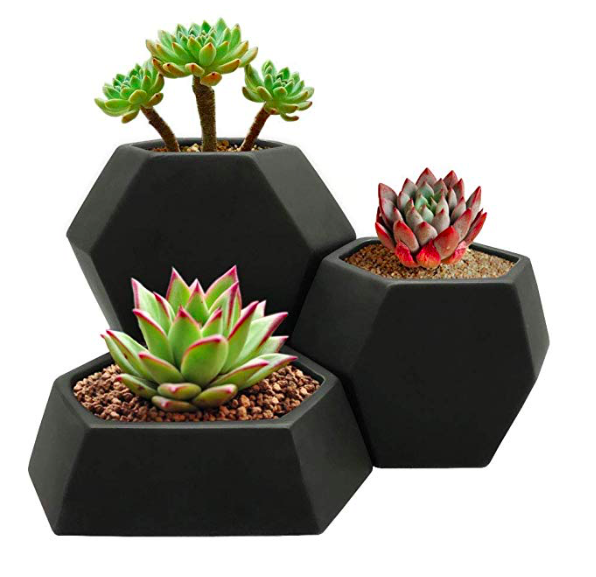 Simple yet attractive, this set will help keep your succulents organized in style. You can go minimalist while still adding a bit of flair. 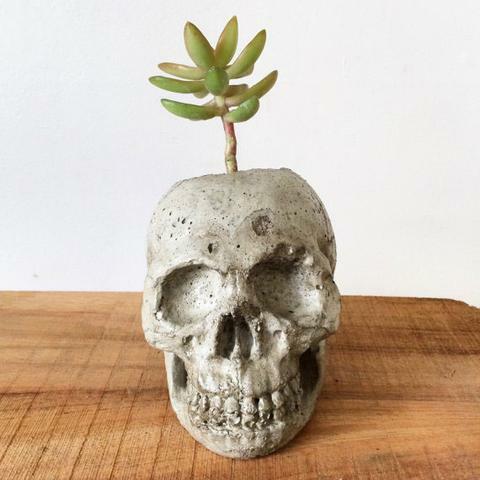 These cute cement skull planters bring some unexpected life (or death?) to your aesthetic. Plant your succulent and you have yourself a minimalist chia pet. There’s not denying that at its core, minimalist design favors black and white tones. Go back to basics with these simple, black matte planters. The geometric design comes in a few different shapes — and you get all three! And if you love the design but aren’t sure about the black, there are three other colors to choose from. 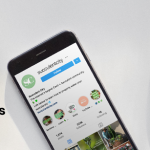 Succulent City’s team vets all of the products we choose to feature. 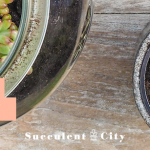 If you buy something listed here, Succulent City may earn an affiliate commission.